I am a long suffering NY Mets fan, and I have been to a number of games that were rained out over the years. Besides getting the “rain check” with a sad-faced Mr. Met holding an umbrella and having to take the long wet slog home, the thing that has always bothered me is that the statistics get wiped out. It has always annoyed me that a hitter’s home run or a pitcher’s stellar four shut out innings do not go into the record books because it is not considered an official game (four and a half innings if the home team is ahead, five innings if the visiting team is ahead). I believe that Major League Baseball should change this rule because it makes no sense. What is currently in place basically says that the homer or the hit or the strikeouts never happened. That is ludicrous because everyone in attendance, including the official scorer and umpires, knows that they took place. How can you say that homer doesn’t count? That single that would have given a player 200 hits in the season? We could go on and on. I recall going to a Mets game when Dave Kingman was playing for the home team. Kingman could hit these towering homers or sky high pop outs – causing legendary Mets announcer Bob Murphy to dub him “Sky King” – and while he never was the most popular player, he certainly was fun to watch. I remember one game on a rainy day when he hit a rocket over the left field wall, bullpen, and into the stratosphere. If you could have cut it up it would have been several homers, but the rain delay eventually turned into a rain out. Old Dave’s homer was an anomaly – a home run that never happened. That seems a great injustice to me to this day. There is a simple fix to this situation. I believe all statistics should remain valid in a rain out (or other situation) that makes a game end before the “official game” demarcation previously stated. Obviously, a pitcher would not get a win or a loss, but could retain innings pitched (which would either help or hurt his ERA). All statistics would be valid though the game would have to be replayed. In a sense this would be just like our old streets of New York City “do over,” which erased an aberration (the ball hit a telephone wire or went down a sewer hole for example) but retained the nature of the game and inning. 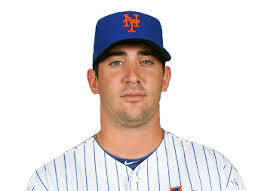 I know this probably will never happen, but after suffering through another rain delay last night (in a game in which I hoped to see Met rookie sensation Matt Harvey pitch), I had to state my case. Oh, and another thing, this game was arbitrarily rescheduled as part of a doubleheader on September 21. How can I know if I will be able to attend on that day? I looked as sad-faced as the old Mr. Met rain check, but that is a different story to be addressed another day.